Tom was born in Cloon, Claregalway, on 15″‘ June, 1924. Tom was a legendary figure among farming people. He held a unique record in ploughing. Tom was widely recognized for his brilliance and his attention to detail and perfection. 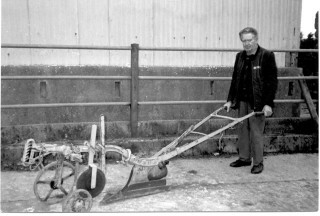 Tom first started ploughing in 1945. 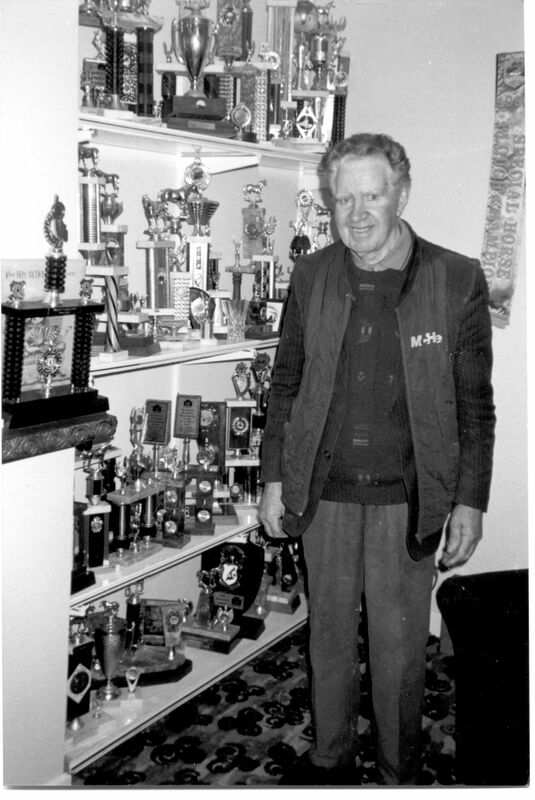 He won his first county title in 1947 and in 1995 he captured the last of his twenty eight titles. Tom won 28 County Senior matches. He won the Junior All-Ireland in 1963 and 10 Senior All-Irelands in 1978, 1981, 1982, 1983, 1984, 1985, 1988, 1989, 1991 and 1993. He also won the Special Horse class in 1990 and 1992. 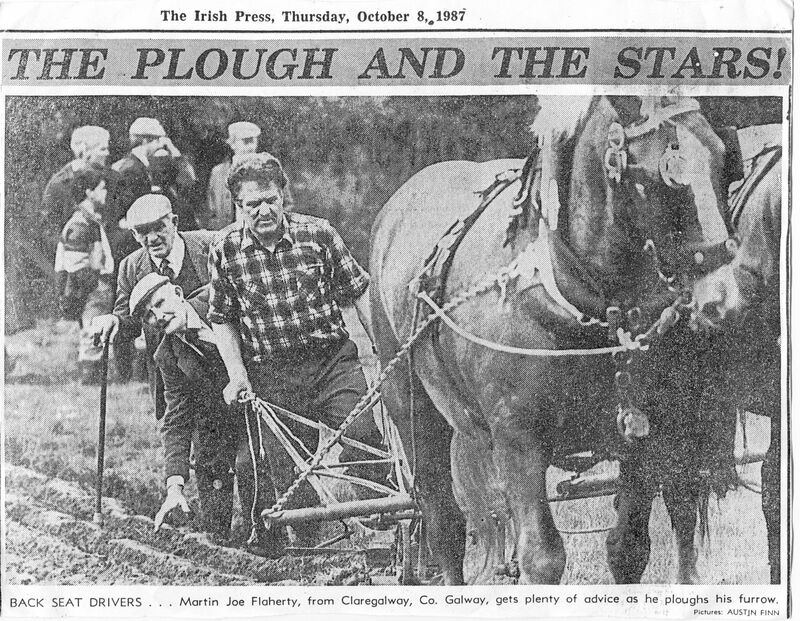 He represented Ireland in the 1984 World Ploughing Championship, which were held in Horn Castle, Lincolnshire, England, where he was runner up. He was placed third in the European Ploughing Championships in Limavaddy, Derry in 1991.
the competition but as he “went at it in earnest” he purchased his own. 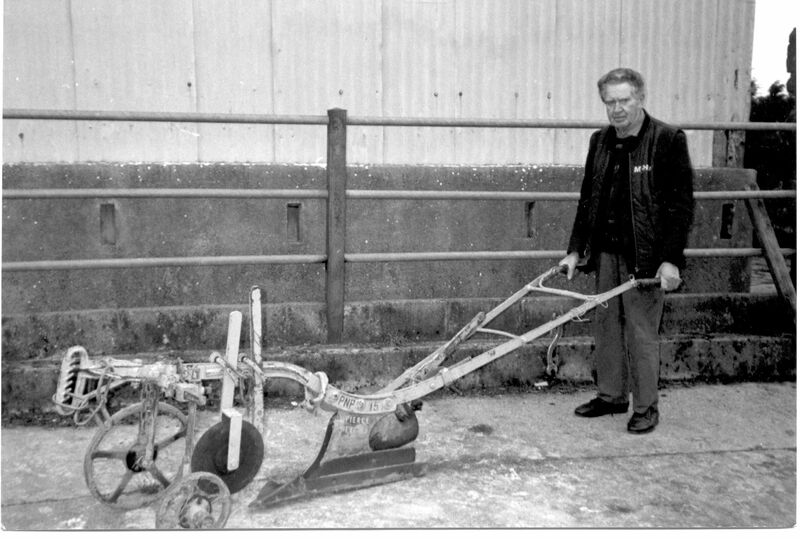 He used to boast “the older I get the straighter I plough”. Tom often said “Some of them in the eighties were close shaves, but I enjoyed them, they were good battles”. Tom died on the 20″‘ March, 2002. At the removal of his remains, Tom’s horse led the cortege to Claregalway Church. His coffin, draped in the flag of the National Ploughing Association, was carried shoulder high by his neighbours and friends. The late Canon Noel Mullin, P.P., described Tom as “a master of his craft”. He was a very humble person, who worked hard and dedicated his life to those around him. A painting of Tom Reilly ploughing was one of the gifts brought to the altar during the offertory procession. It was to have been presented to Tom by the Claregalway community some weeks later. This page was added on 13/08/2016.